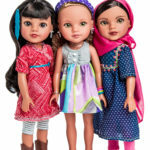 Rollup Kids is the authorized distributor of “Hearts For Hearts” Girls dolls in UAE. 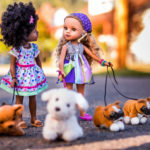 Hearts For Hearts Girls was made to build a distinction- for young ladies who spend time with dolls, for young ladies who think about others, and for young ladies around the globe who confront troublesome difficulties in their lives. Achieving this was a big task but we did that by producing attractive, socially varied dolls that priced very fairly. 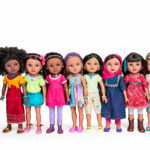 These dolls are dressed in traditional fashions and designs but are given features to target the new generation of girls around the world. 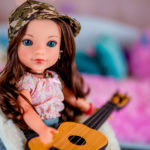 These dolls have been designed with ultra-care to details, unique sculpts for their heads and exclusive ornaments for each doll. We understand and acknowledge the importance of our designs. 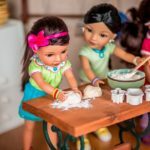 The dolls produced by us can be easily related to the stories from real life, and their stories help girls comprehend where these dolls came from what was their lifestyle. By this, our young buyers get a chance to understand and learn about other cultures beyond the limitations. 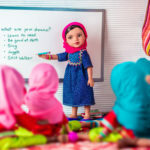 Every doll produced by us has its own unique story, which is based on various stories of real girls living in the respective parts of the world. 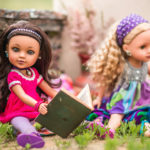 We have included a short-book with every doll that tells the story of that doll and there is a very inspiring bracelet for the young girls to wear. 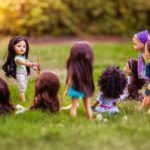 Also, As we want to make a difference in the society, we donate $1.00 of every doll purchased to help humanitarian organizations. 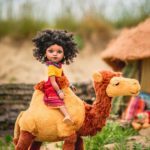 “World-Vision” which is a very known global organization uses this money to help children from the specific geographies which the doll represented.